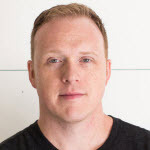 Brad Weaver is a Managing Partner and Director of Design at Nine Labs in Atlanta, GA. After going to school to become a lawyer, he came to his senses and has spent the last 15 years as a Designer & User Experience generalist. His experience includes product development, interactive, branding, and market segmentation. He founded Suckerpunch Studios in 2007, after working on the development of early eCommerce, Web Apps, Mobile, and Online Media programs at Verizon. His book, “Creative Truth”, details how to start and build a profitable design business through personal anecdotes and hard data gathered over his career. You can find him online at sbradweaver.com, ninelabs.com, and learn more about the book at thecreativetruth.com.